This month’s books all are about characters who are dealing with some serious heart breaks within their families. All are contemporary stories, and all feature a female protagonist who is struggling with deep issues. But they are all very different types of stories so there should be one to fit your personal taste. I’m featuring one middle-grade story with bits of fantasy, one fun romance with a beautiful message, and one more serious southern drama. While There You’ll Find Me has a lot of fun elements, this book also deals with the loss of a family member and eating disorders, both of which are horribly painful difficulties that some young people face. In addition, there was a very powerful storyline about forgiveness that will stick with the reader long after the book is finished. 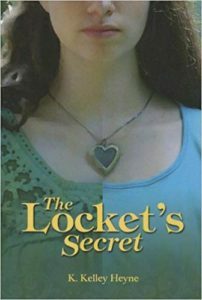 The Locket’s Secret is a sweet yet powerful story about dealing with tragedy. This wonderful book for middle grade students focuses on the importance of family. The story follows Carrie and her family during their move across the country to a new home. This homeschooled teen struggles to deal with leaving her home and friends, as well as the recent tragic loss of a younger sister. Carrie’s coping mechanism is to withdraw into an imaginary world to help manage the grief. The story alternates between Carrie’s real life and the adventurous fantasy that she imagines for herself. I thought this was a beautiful story that shows how profoundly difficult it is to handle the loss of a loved one. Carrie struggles but eventually learns that family is her strength. This would be a great book to read as a family as it offers plenty of great discussion opportunities. 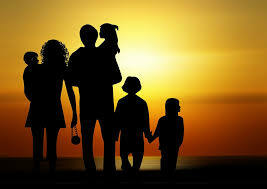 I also liked that the family homeschools their children. I haven’t seen that included in many books. 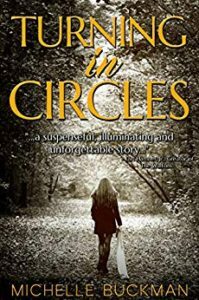 If you love a good family drama, Turning in Circles might be a great book for you. Michelle Buckman is a very talented writer. She fills this novel with beautiful, descriptive prose and a gripping story. At times the dialogue and characters seemed like something from another era, but that is part of the charm of this story. This is the story of two, extremely close, sisters and the drama that tears them apart. Turning in Circles is powerful, heart-wrenching, and really makes you think about the small decisions we make that can have a lasting impact and can lead us down a path we never thought was possible. It made me want to wrap my arms around my children and not let them out of my sight. There were some unique characters throughout the book that triggered many different emotions. I was so frustrated with the parents in this story. They were both so wrapped up in their own worlds that they did not see what was happening under their own roof. Although, this is probably a very realistic depiction of life. This book would be great for an older teen book club. 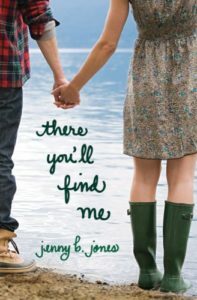 I love Jenny B. Jones’s voice too – but I haven’t read that one yet. She has a great sense of humor. I am going to refer to your lists of YA books when my two oldest granddaughters–twins, now 7–get a little bit older. They are voracious readers. They think a trip to the library is as exciting as a trip to Disneyland! Right now, they’re into American Girls and books like that. But I think all three of these sound perfect for them in a few years. I’ve read Buckman’s adult novels, and I’m very curious to read this one now. Thanks Laura! I’m glad you find these reviews helpful. It can be so hard to find great books for teens that reflect Christian values. Your book, Erin’s Ring, is one of my favorites and I have will be featuring Finding Grace in an upcoming post. Thank you in advance for reviewing The Perfect Blindside!